Located on the Fraser Coast approximately 300 kilometres north of Brisbane, Hervey Bay is a serene and peaceful vacation destination. 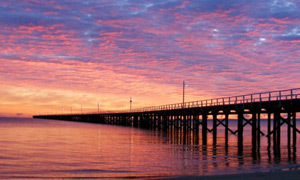 Just a short 45 minute flight or comfortable three and a half hour drive from Brisbane, Hervey Bay is easily accessible, whether it be for that relaxing weekend away, business stop over or annual family holiday. Our casual and picturesque community is surrounded by kilometres of uninterrupted coast line, stunning beaches and calm friendly waters making it a popular choice for all types of holiday makers. 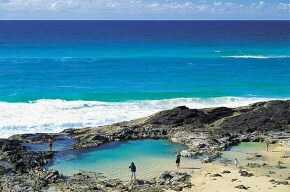 Most famously known as the gateway to the world’s largest sand island, Fraser Island, Hervey Bay is also one of the best places in Australia to view the magnificent hump back whales on their annual migration north. At Urangan Motor Inn we offer great Whale Watching Packages. Situated opposite the Urangan Beach Pier, which stretches 800 metres into the bay towards Fraser Island, the Urangan Motor Inn is located on the waterfront. The quiet nature of this beautiful area allows for a relaxing holiday or peaceful getaway. Guests enjoy easy fishing from the pier, a multitude of water sport activities, walking along the foreshore or just sitting and staring at the natural beauty of Hervey Bay. The Urangan Motor Inn is only eight minutes drive from the Fraser Coast Airport and two hours’ drive from the Sunshine Coast. The Urangan Boat Harbour is close by, as are lawn bowling clubs, AFL and other sporting fields, golf club, RSL club and numerous Hotels. The motel features a salt water swimming pool and guest laundry facilities. 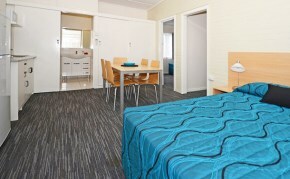 Our different styles of accommodation cater for all budgets including: superior rooms, standard rooms, budget rooms and family suites. Off-street parking for trucks, buses, camper trailers and boat trailers is available for guests and within easy access from the rear of the motel. With so much to see and do on our doorstep, the Urangan Motor Inn is the ideal location for those who wish to experience the magic of Hervey Bay and natural beauty of the Fraser Coast.